This course is designed for experienced Linux Administrators who require networking and security administration skills. With a heavy emphasis on proactical, hands-on labs, this course is tightly aligned with experienced Linux administrators' job taks and the skills required for advancement. Focus is placed on enhancing the students' automation skills to securely cofigure, deploy and manage network services including DNS, Apache, SMTP, and network file sharing. In addition, this course emphasizes security, including monitoring, packet filtering, access controls, and selinux. 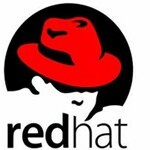 After the completion of this course, students already familiar with the Red Hat System Administration skills will have exposure to all competencies tested by the realtime environment where once has not only to manage the system but also its network.